Bishops Gate Golf Academy (BGGA) has supplanted itself as the dominant force in junior golf after the success during the 2017-18 academic year. The Academy had 75 students from 22 countries representing the Academy across several junior golf tours. The total wins for BGGA this past year is a record for the Academy at 50. There was a total of 109 top-3 finishes and 213 top-10 finishes. There’s one win that stands out among them all and that came from Peruvian junior golf standout Julian Perico when he won the AJGA Simplify Boys Championship, an invitation only event. That wasn’t Perico’s only highlight this year as he also finished second in Sir Nick Faldo’s Major Champions Invitational and finished T7 at the Junior Invitational at Sage Valley. BGGA Male Player of the Year Perico also signed to play college golf with the University of Arkansas where he’ll start in the fall. BGGA’s Female Player of the Year Siyan Chen won three times this year and had six top 10 finishes. Chen also verbally committed to the University of Illinois and will sign her national letter of intent with the school next November. In the fall, BGGA swept the Faldo Series U.S. Grand Final. Winning their respective age divisions were Teddy Tetak, Annie Kim, Egor Zotov and Ying-Ting Hsieh. Each player earned an invite to play in the Faldo Series Asia Grand Final and BGGA was represented by Kim, Zotov, Hsieh, Niels Schmidlin and Cynthia Tu. Kim wound up finished second in the Girls 18 and Up Division. Several other students had dominating performances. Dongjin Park had three wins on the IJGT in the spring along with four other top-10 finishes this year. Park also set the BGGA tournament record after shooting an 11-under 61. Nic Pevny won three times on the IJGT this spring in the Boys 14 and Under Division and record another top-10 finish. Around the new year, BGGA has two students win prestigious junior events. Petr Hruby won the 2017 Doral Publix Junior Golf Classic. Hruby also had another top-3 finish and he verbally committed to play for the University of Washington in 2019. Thomas Pfoestl won the Optimist Tournament of Champions and had three top-10 finishes. Jeffrey Wu won the CJGA World Challenge at Innisbrook Resort in December. 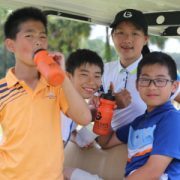 Dongjin Park and Ying Ting Hsieh won the boys and girls divisions respectively at the AJGA Judy Oppenheimer in Okatie, South Carolina in June. BGGA students were successful off the course as well as two students received AJGA honors. Tracy Lee was named to the 2017 AJGA Scholastic All-America Team, and Perico was named to the 2017 AJGA Junior All-America Honorable Mention Team. With the combination of great tournament results and top academics, BGGA had a great senior class commit to go on and play college golf at colleges like Arkansas, Vanderbilt, Wisconsin, South Carolina, etc. Bishops Gate Golf Academy (BGGA) announces a new Director of Golf Coaching and Instruction in Kevin Craggs, renowned PGA Advanced Fellow Professional. 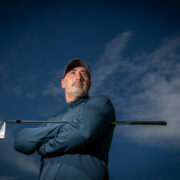 After playing on the European tour for a number of years, Kevin transitioned into coaching and for many years was the coach to the Scottish National team. 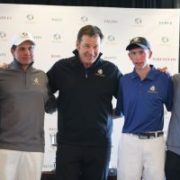 He built his career on successfully improving the games of golfers at all levels from Junior Golfers, Club Golfers all the way through to Tour Players on both the U.S. and European tours. Over the last 10 years his teaching philosophies have regularly been featured in two of the country’s top selling golf magazines and featured 12 times on front covers. Craggs will take the reins of the program that is dominant in the U.S., with 56 wins last season, more than its east coast competitors combined. Craggs replaces Kevin Smeltz, who remains as a BGGA Advisory Board Member. “Kevin is by far the most enthusiastic and able coach with whom I have ever worked with, his knowledge of the golf swing is superb making learning and understanding easy. There is no doubt that I would have not achieved the same success in my career without his support. Adequate hydration is important for both good health and optimum sports performance. It is well-documented that with sporting activity lasting longer than 40-60 minutes, the consumption of water along with carbohydrates (your primary energy source) is performance enhancing. For a golfer, who potentially spends up to five hours playing a tournament round and countless hours practicing outdoors, ensuring adequate hydration is a MUST. Let’s examine the topic of proper hydration for the young golf athlete in more detail. Firstly, how is dehydration likely to affect you? The general signs and symptoms of dehydration are easily recognized. In cases of mild dehydration, they may include one or more of the following: headache, fatigue/weakness, dizziness, dry skin/lips, nausea and/or muscle cramps. More severe dehydration can cause vomiting, confusion and agitation, with extreme cases leading to convulsions and unconsciousness. Playing in the heat and humidity magnifies the importance of maintaining a hydrated state since these factors increase the risk of dehydration and even worse, a dangerous rise in core body temperature (usually referred to as heat exhaustion or heat stroke). In fact, these heat-related illnesses can occur even while exercising in a temperature environment (that’s only mid 60’s °F!). It should be said however, that most healthy children and adolescents can safely participate in activities in warm to hot conditions with suitable preparation and monitoring. Thus, most heat-related illnesses are preventable. Being aware of the risk factors for dehydration or exertional heat-illnesses is the first step towards prevention. Some of the other risk factors affecting golfers may include insufficient consumption/access to fluids during play, poor fitness, inadequate pre-hydration, little sleep/recovery, illness, clothing (if it leads to excessive heat retention) or two rounds played in one day. Clearly, the potential for poor fluid management to negatively influence performance is substantial, especially in the heat. Recent studies illustrate that even mild dehydration has been shown to reduce the muscular co-ordination required during sports skills (motor performance), affect mental clarity (focus, alertness, the ability to concentrate, decision making) and alter our perception of fatigue (it all seems harder!). In 2012, Smith and colleagues conducted research demonstrating that mild dehydration negatively affected both swing mechanics and decision-making, including the ability to judge distances, changes in slope and recognize differing shades of green. Ultimately, this led to a reduction in both the distance and accuracy of the golf shots measured. How to know if you are dehydrated? One of the simplest ways is to assess the color of your urine. Generally, pale yellow (the color of lemonade) is a good indication that you are well-hydrated, and darker than the color of apple juice may indicate dehydration. Secondly, and more accurately, determine your sweat rate and therefore fluid loss during exercise under differing environmental conditions. In practice, measure your weight before and after a period of practice, noting how much fluid is consumed. The total amount of fluid lost and therefore weight lost per hour can be easily calculated, arriving at the amount of fluid lost per hour. Obviously, it will differ between individuals and according to the climatic conditions. Engaging in preparation such as this allows you to develop your own hydration strategy for both the practice setting and under tournament conditions which in turn can improve the quality of your practice and maximize performance. The pros do it! In a conversation with former LPGA player, Sue Kim (Canada) related how she had a problem with drinking on the course; “I would never drink enough during a tournament. I simply forgot to drink”. Her solution? Kim modified her pre-shot routine. Arriving at the next shot, her routine began with a few sips of water. It helped her to maintain a hydrated state during a round and the action became automatic, ensuring she didn’t forget to drink. As a guide, 13-16 year olds need 1.6-1.9L of total fluid each day (from food and fluids). Exercise will increase this amount. Be prepared – bring adequate water with you to the course/practice range. There may not always be opportunities for purchasing water when you need it (e.g., ninth hole). Be aware, thirst may not be a good indicator of how dehydrated you are. Develop your own customized fluid replacement strategy and evaluate in training first before attempting it during a tournament. Aim to start your practice/tournament in a well-hydrated state – check your urine color (ideally it should be pale yellow). Consider including sodium in foods/fluids may be useful as it will help you to retain fluid during exercise. Aim for 0.4-0.8 L of fluid per hour (130-250ml every 20 minutes). Water is the number one choice for fluid replacement in most instances. Consume small volumes of fluid frequently throughout the exercise/round/practice. Avoid over-drinking. A condition called Hyponatremia (low blood sodium level) is the risk of consuming too much water, with symptoms shockingly similar to dehydration. There may be a case for sports drinks in certain circumstances when a source of carbohydrates and electrolytes (primarily sodium) are required (e.g., when access to food is limited). Cold drinks may help to reduce core body temperature during exercise in the heat and increase the tendency to consume more fluid. Flavored waters may also increase consumption. Avoid energy drinks at all costs! The goal is to drink to 150% of the fluid lost during exercise (based on weight). Yes, more than you lost; this accounts for the obligatory urinary losses. Eat a meal post-practice/tournament – it will provide the carbohydrates, protein and electrolytes (Sodium and Potassium) necessary for recovery. The optimal strategy for fluid intake for young golfers will vary based on numerous factors including climatic conditions, the opportunity to eat/drink, gastrointestinal comfort and an individual’s own physiology and biochemistry. Thus, consider the hydration recommendations provided and work on developing your own customized hydration strategy for both practice sessions and tournament rounds. It should be considered an essential element of a golf athlete’s preparation. Desbrow, B., McCormack, J., Burke, L., Cox, G., Fallon, K., Hislop, M., ……. (2014). Sports Dieticians Australia Position Statement: Sports Nutrition for the Adolescent Athlete. International Journal of Sports Nutrition and Exercise Metabolism, 24, 570-584. Maughan, R. (2010). Fluid and carbohydrate intake during exercise. In L. Bourke and V. Deakin (Eds. ), Clinical Sports Nutrition 4th Edition (pp. 330-347). Sydney, Australia: McGraw-Hill Education. Smith, M.F., Newell, A. J. and Baker, M.R. (2012). Effect of acute mild dehydration on cognitive-motor performance in golf. Journal of Strength and Conditioning Research, 26(11), 3075-3080. 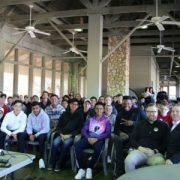 Bishops Gate Golf Academy (BGGA) Leadership and Character Division hosted a Habitudes Leadership event for students on January 15, 2018. At BGGA, the focus isn’t only on golf. The Academy is driven to instill excellence in golf and character in students and holding these types of events drives home that focus. BGGA students had the day off from school for Martin Luther King Jr. Day and spent their time learning what it takes to become a great leader. The highlight of the event came when Timothy Alexander shared his story and inspired the students. Timothy Alexander has dedicated his life to motivating and inspiring others. Timothy was ranked the #8 high school football player in his state and had the opportunity to play for any college in the country. A life changing car accident in 2006 left him paralyzed from the neck down. Even though his dreams of playing college and professional football were shattered that day, Alexander has gone on to accomplish new dreams and find his purpose in life. The students were captivated by his story and took to heart his message about being able to do anything they want to do by being persistent, resilient, consistent and committed. The presentation was led by Executive Leadership Coach Michael Arnold and Andrew McPeak of Growing Leaders. Arnold will continue the Habitudes series with students by holding more seminars throughout the semester. A key habit of high-performing athletes (or any discipline) is that they have clearly defined goals, and a plan on how to achieve them. The word “goal” can often take on many different meanings. It can refer to an outcome we achieve, for example win a certain tournament, achieve a specific handicap level or earn a scholarship. It can also define a level of performance we want to achieve (hit my driver a certain distance or average a certain proximity to my target with my wedges). It can also be a task or process we set out to do (stick to a practice plan, etc.). First, establish a clear vision of your desired future outcomes. This is where we employ outcome goals. These are long-term (approximately 4-5 years). This is your chance to dream big, so stating this vision can get you excited, but also scare you a bit because it takes you out of your comfort zone. That’s normal and actually desirable because healthy, positive change can take us out of our comfort zone just as much as facing adversity can. This almost goes without saying, but be sure that what you’re pursuing is meaningful and motivating to you. Second, establish a shorter-term outcome goal. This is still an outcome goal, but typically 1-2 years out. In stating this goal, be realistic but also be sure to stretch yourself a bit. Examples can be something like winning a certain high-level tournament, gaining a ranking level or achieving a certain scoring average in tournaments. Once you have your short-term outcome goal clarified, keep asking the question “how” – in other words “how will I achieve this?”. Ask yourself this until you identify a specific, concrete action plan. This takes you from your goals being conceptual ideas to specific/concrete action plans. For example, if your short-term outcome goal is to achieve a -2 handicap level, ask yourself “how will I achieve this?” The answer, upon examining your statistics, may include improving several different skills (i.e., performance goals). So, let’s say you narrow it down to three performance areas you would like to improve upon, and one of them is to “improve putting from 10-20 feet”. Once again, ask yourself “how”. This will challenge you to determine the specific parts in this area of your game. Say that you determine that your green reading and speed control are holding you back in this area – keep asking yourself “how?” and you will eventually end up with clearly identifiable process goals – examples in this case might be “research a proven method for green reading” or “learn a proven speed control method” or even “work with a putting coach”. Again, by asking “how” from this level, you will develop specific tasks, drills and activities that you can translate into weekly plans for you to follow. With performance goals, it’s really helpful to set up measurable targets in each area to monitor your progress – but be sure that you only measure your progress periodically (e.g., bi-monthly or quarterly). This allows yourself the time necessary to develop the skills you are working toward and helps you to trust the process you have designed for yourself. Also, be sure the level of challenge you place on yourself stretches you, but is also realistic. Setting unrealistic goals can lead to a lack of motivation, but if you don’t challenge yourself enough, it can lead to boredom. 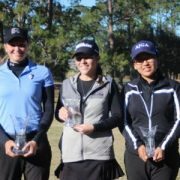 Bishops Gate Golf Academy’s (BGGA) Tracy Lee kicked off the new year with a third-place finish at the AJGA Foley Performance Academy @ EaglesDream Junior Championship at Timacuan Golf & Country Club on January 15, 2018. The South Korean junior golfer used rounds of 77, 74 and 73 for an 8-over 224. Lee finished two shots back of the leaders. Lee started the final round in third place and kept her spot after using four birdies, three bogeys and one double bogey for a 1-over 73. Lee is headed to play for the University of Wisconsin in the fall. BGGA’s Teddy Tetak also had a top finish with a T6 in the Boys Division. Tetak finished with a 1-over 217 with rounds of 74, 68 and 75. The junior golfer from Slovakia had the lowest round of the tournament with his 68 in the second round. Tetak had five birdies and one bogey. Tetak is heading to play on the men’s golf team at the University of South Carolina this fall. BGGA students are set to compete in the IJGT Assessment Tournament at Bishops Gate this coming weekend. Tennoshin Ogawa, from Japan, attended Bishops Gate Golf Academy for two years. 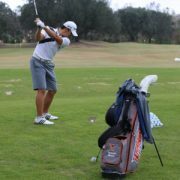 After graduating in May 2017, Ogawa joined the men’s golf team at the University of Texas-Rio Grande Valley. As a freshman, Ogawa has played in two events. He posted a three-round score of 224 with rounds of 74, 79 and 73 at the Price’s “Give ‘Em Five” Invitational finishing tied for 46th. He also finished tied for 23rd place at the Herb Wimberly Intercollegiate after posting a three-round score of 218 with rounds of 75, 74 and 69. Q: How did you get started in golf? I started playing in the third grade because of my dad. I went with my mom to pick up my dad at the driving range and he told me to hit some balls. Q: What continues to drive your passion for golf? I enjoy hitting golf balls. Q: What are your goals in golf? My goals for this year are to win the conference, the division and the national championship. I think I can make it as an individual. I also want to play in the U.S. Amateur and at the end of the year play in the Asian Pacific. Q: How is college going so far? It’s going great. It’s a lot of new things and a new environment. Q: What did you learn at BGGA that helped prepare you for college? Independence. In college, you’re always having to do everything for yourself. Q. What is it like to play for a team? It’s a different feeling. You’re playing for your school, for your coach and for your team. Until now I’ve played for myself. With a team, one shot can be a big difference. 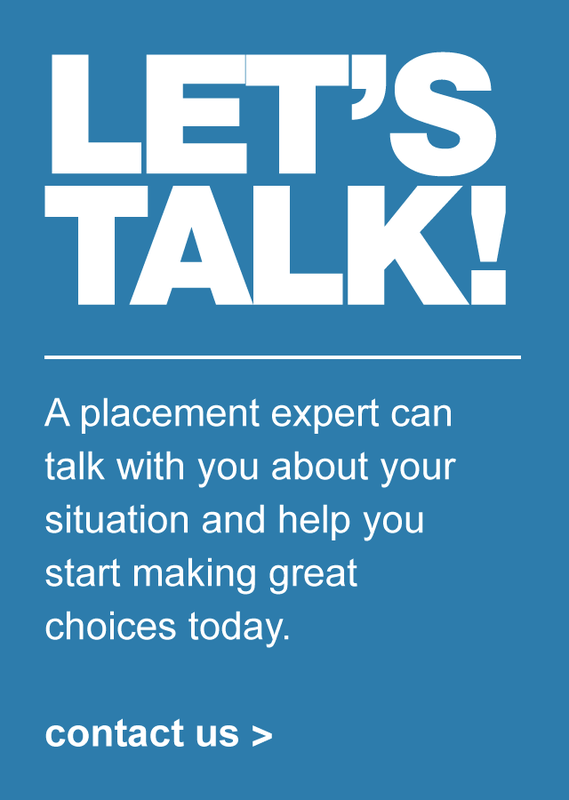 Q: What has been one of the biggest challenges about the new experience as a college student? I had to get used to the school first, but it didn’t take that long. Getting to know more people outside of the golf team. 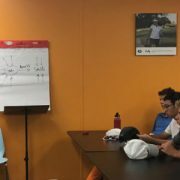 In fitness sessions at BGGA, Director of Health & Athletic Development Karen Harrison impresses upon the students a very important link between the physical and the technical. Improving the students strength, flexibility, controlled movement and coordination can really accelerate their technical development. Coaches and students share how these things don’t have to happen just in a gym setting, as they can happen in the field or in our case the range. Juggling golf and academics can be challenging. Check out the tips below for how to be a better student-athlete. Set goals: You won’t know how to prepare your golf game if you don’t know the goals you want to accomplish. Don’t forget to set goals for your academics as well. This will help you make the most of your time at BGGA. Stick to your routine: BGGA sets student schedules to balance academics, golf, fitness, etc. It’s up to the student to then manage their downtime between taking care of themselves, doing homework and having fun with friends. Sticking to a routine will keep you organized and help you to remember all the different areas with which you need to keep up. Make academics a priority: To get into the college of your dreams, you’re going to have to have good grades and test scores. Universities look at much more than your golf scores. Get at least eight hours of sleep a day: A lack of adequate sleep will cause you to lack energy and not be able to give your best to school or golf. If you stick to a routine, finding a way to get eight hours of sleep a night should be easy. Eat a balanced diet: Don’t let what you’re putting in your body as fuel weigh you down. The food you take in has a definite impact on your energy level and ability to keep up with all that is required of you as a student-athlete. This also means not skipping meals. Take advantage of travel time: Whether you’re flying or driving to your next golf tournament, take advantage of the down time during your travels. Use that time to keep up with your school work or prepare for SAT/ACT testing. Use your coaches: BGGA coaches and staff will always be there for you. Don’t hesitate to ask them questions or get their guidance. They probably were in a similar situation to you when they were young. They also can hold you accountable for your goals and actions if you’re open and honest with them about your struggles and where you may need assistance. Always give your all: It seems simple, but put in your best effort every day. Be ready to practice and play during the hours set aside for golf. You’re preparing yourself for college golf and beyond, so make the most of the time and attention you’re given at BGGA.